We’ve been dropping bombs in the Middle East for 60 years. So why not turn it up a couple more notches amirite? No, it’s not. But your post implies it’s all Ben and Michael Bolton’s fault. Babeinbucland wrote: When Pedophiles aren’t enough you can count on those in the GOP to vote for someone worse. Neo-Nazi Arthur Jones has won the Republican nomination for one of Illinois' congressional seats. Jones, a Holocaust denier and self-described former leader of the American Nazi Party, won the nomination by running as the sole candidate in Tuesday's GOP primary for the 3rd District outside Chicago. Jones, 70, will try to unseat the incumbent, Rep. Dan Lipinski, who narrowly edged challenger Marie Newman in the Democratic primary. The 51-year-old Lipinski will be a strong favorite to retain the seat, which he has held since 2005, and which his father previously held. The state Republican Party has said it wants nothing to do with Jones, who became the GOP's standard-bearer in the district after five prior failed attempts to win the nomination. "Even if only myself and my wife voted for me, I'd win the primary because the Republican Party screwed up big time," Jones told The New York Times. The party, which was not able to find anyone to run against Jones in the primary, says it will try to get an independent to run in the race. "Arthur Jones is not a real Republican — he is a Nazi whose disgusting, bigoted views have no place in our nation's discourse," Illinois GOP Chairman Tim Schneider said in a statement. Hold up. The article you quoted refutes your statement. There wasn’t another candidate. Furthermore, Illinois GOP Chairman, as quoted, decried the nomination. Mountaineer Buc wrote: So why not turn it up a couple more notches amirite? 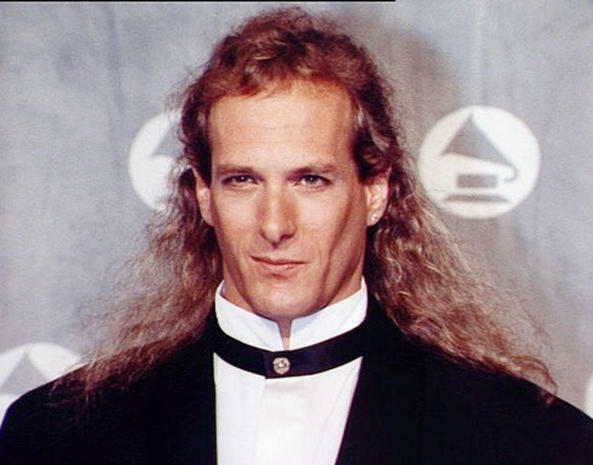 Michael Bolton is a warmonger! On Wednesday, Iraqi officials announced that an intricate cross-border sting enabled them to capture five senior Islamic State (ISIS) leaders. The brilliant operation, which took three months for the U.S.-Iraqi coalition to execute, started with the capture of Alwaan al-Ithawi, an Iraqi known by the nom de guerre Abu Zeid al-Iraqi, whom Iraqis say is a top aide to ISIS leader Abu Bakr al-Baghdadi. An Iraqi intelligence unit tracked al-Ithawi from Syria to the Turkish city of Sakarya. The Iraqis procured an intelligence file on al-Ithawi from the Turks; Turkish security forces arrested him February 15, then extradited him to Iraq. After al-Ithawi had been interrogated for weeks by Iraqi and American intelligence officials who garnered information including the details and locations of other ISIS leaders, the U.S.-led coalition launched an airstrike in mid-April that killed 39 suspected ISIS members near Hajin, in the Deir el-Zour district. Following the airstrike, Ithawi contacted several of his ISIS colleagues who had been hiding in Syria and induced them to cross the border. Do you guys have any idea how hard it is to make inroads in the national conversation when voices on your side are saying **** like this? Sure, you guys on the right have your whackadoos too, but WTF! MB done got caught by a troll meme. The liberals in Cali making super rich business pay for the homeless? Here ya go, wanna guess how it turns out. So documents have been found that show AT&T execs that were tied to Cohen magically got a private meeting with Ajit Pai shortly after they made the payments. I'll take a wild guess that this was purely coincidental and there's no concern about pay-to-play now, right? bucfanclw wrote: So documents have been found that show AT&T execs that were tied to Cohen magically got a private meeting with Ajit Pai shortly after they made the payments. I'll take a wild guess that this was purely coincidental and there's no concern about pay-to-play now, right? Could be evidence of something, though they definitely didn't get their money's worth with Trump denouncing the AT&T/Time Warner merger. Pretty much a bad deal in every way for AT&T. Didn't get the alleged outcome they paid for, and got a ton of terrible PR in the process. Obviously not a good look for Trump either as this is exactly what most people hate about American politics in that lobbying/pay-to-play is how things get done. It's a reason independent voters gravitated towards Bernie and away from Hillary. This will come back to bite Trump on the 2020 campaign trail when he talks about the swamp. Tough to rally against lobbying when your personal lawyer was taking money from AT&T in attempt to gain influence. Sadly you can't even get facetime w/ 99% of politicians unless you pay the gatekeepers toll. Shameful..
DreadNaught wrote: This will come back to bite Trump on the 2020 campaign trail when he talks about the swamp. DreadNaught wrote: Sadly you can't even get facetime w/ 99% of politicians unless you pay the gatekeepers toll. Shameful.. They got net neutrality nix among other things, I'm sure. And curious, when did Trump denounce the merger? On an unrelated not, we've got bigger issues with the DoJ allowing the Beyer/Mansanto merger. The good news is that I bet we'll see weed prohibition be lifted soon because Big Pharma will own the seeds. Gina Haspel, the nominee to run the Central Intelligence Agency (CIA), is all but confirmed after winning over the support of three key Senate Democrats — Sen. Mark Warner (VA), Sen. Heidi Heitkamp (ND) and Sen. Bill Nelson (FL) — on Tuesday night. It's shocking to see opinions change from IMMEDIATELY (within a few months) of the deal being done and a few YEARS after the fact. I suppose you're the guy nominating Hitler for Time Magazine's (fake news), Man of the Year? So you really believe more than half of Americans (1 in 2 people on the street) voted for The Trumpster? So you really believe more than half of Americans (1 in 2 people on the street) know enough about the Iran deal to support it? Those are the same people voted for The Trumpster. The Trumpsters just want to come home after their 8 hour shift at the 7/11 and watch whatever the Walking Dead...or whatever the hot tv show is currently. Maybe after they get done banging their sisters and/or mothers. Or their place of unemployment. Whichever. Nice comeback... a week later. Lol. Haha.. that was quite the edit..
Alpha wrote: The Trumpsters just want to come home after their 8 hour shift at the 7/11 and watch whatever the Walking Dead...or whatever the hot tv show is currently. Maybe after they get done banging their sisters and/or mothers. Or their place of unemployment. Whichever. Lol. This is classic ****... Please continue. So vote for who we tell you to vote for or else everything falls apart! Moderates really need to get control back in both parties before these far left and right whackos ruin us politically. Gina Haspel has been confirmed by the Senate to be the next Director of the CIA. First female CIA Director in history iirc.